The Ovas Featured in Planetizen – O.V.A.S. What have been some of the significant changes the Ovarian Psycos have undergone that changed the way you operate and achieve your mission? Last year, we acquired a space, named La Conxa, on the Eastside. La Conxa is not just for us to have meetings there and organize, but now we want to provide this space for the community. One of our goals is fundraising to keep it open. We are not an organization or non-profit; we are an autonomous group, so we’re making sure we keep the space autonomous and away from corporate money. So, with this new space, you’re able to really solidify your roots within the community. What kinds of actions or ways are you engaging with the folks surrounding La Conxa? Another way we provide this space for the community is through our programming. 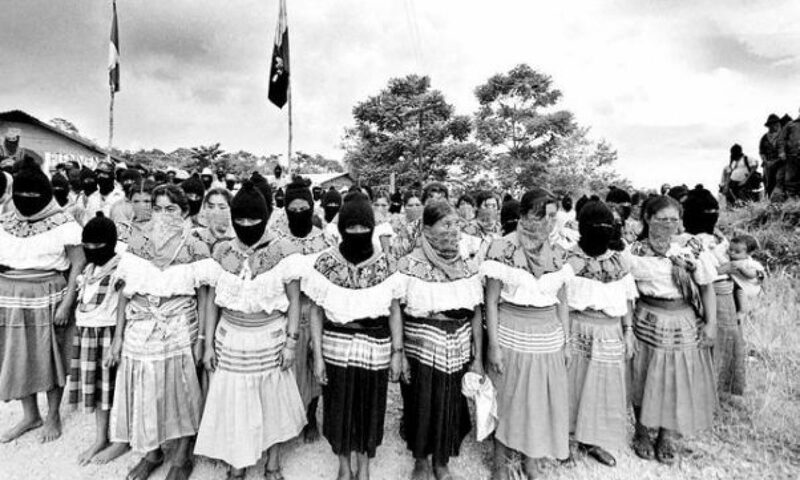 So far, we’ve been collaborating and sharing space with other collectives like Mujeres de Maiz, Comidas no Bombas, and ACRAS, to name a few. We’ve also organized movie nights, including post-screening discussions with the filmmakers, and we’ve hosted bands and held fundraisers. One of the things we really push for as well is encouraging women to learn bicycle mechanics. In these mechanic nights, we invite women, trans, gender non-conforming, basically anyone who doesn’t identify as a man, to come in and learn bicycle mechanics. Because as women cyclists, bicycle mechanics are heavily needed for you to be autonomous and not rely on anyone else to fix your bike. In addition, we’re trying to address some of the issues going on in our communities, like gentrification, displacement of residents, and militarized policing, through programming in space and also in the Luna Rides. Each of our monthly full-moon Luna Rides revolves around a different theme. Usually at the end of the ride, we share a circle. A lot of personal and deep-rooted things come up. For most women, that first ride is really scary. But afterwards we see women progress and feel more comfortable and trusting of the space, and they really open up. It encourages women to be change agents in their communities and share what is going on there with the other riders in the circle. The first step in becoming a change agent is knowing yourself as a person and having the courage to speak up about those kinds of things. But we have limited capacity, nobody gets paid to be part of the collective, everyone is either a student, a mother, or working class. Many of us are from low-income communities and need to work full time. But nonetheless, we’re able to put on these bike mechanic training nights, safety trainings, and rides centered on issues in the neighborhood with elements of education. Previous PostPrevious Be kind to the environment and your wallet, take the train to Clitoral Mass! 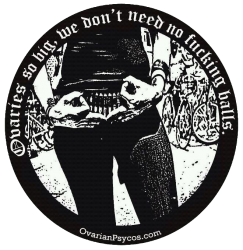 Next PostNext Ovarian Psycos at CICLAVIA, THIS SUNDAY!